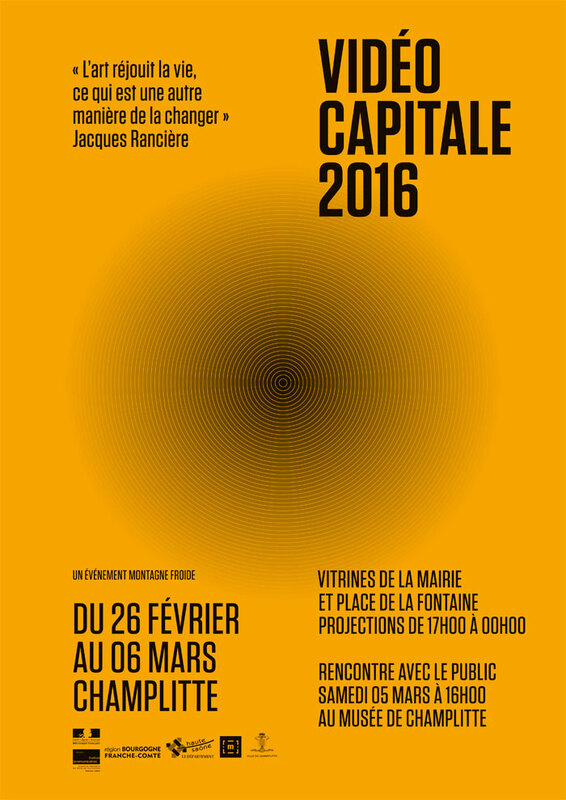 Vidéo Capitale is a contemporary art event showcasing artist’s videos and short sets for a diverse audience. Every night at 5 p.m., village shop windows become filled with life from the full screen films being shown inside and that is visible to pedestrians in the street. The town and location are essential to a sublime and entertaining viewing experience in which tributary worldviews circle the art of life. 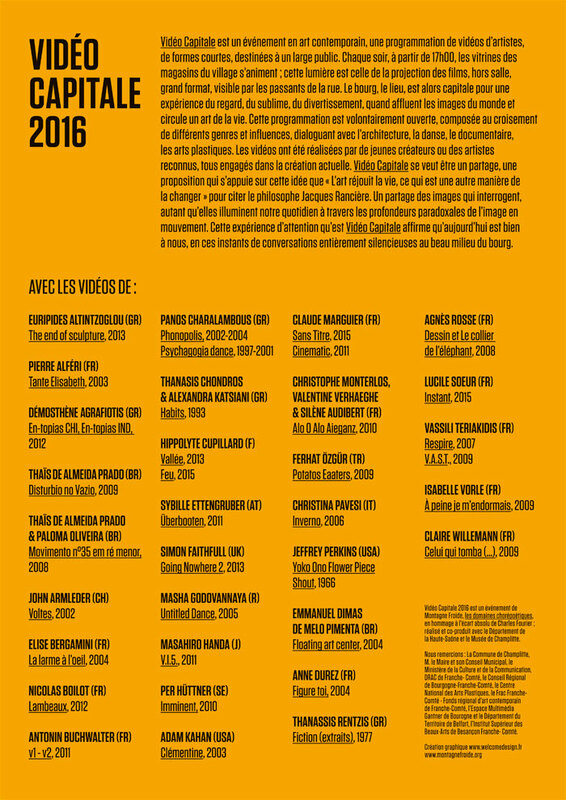 The programming, purposefully left open, is composed of different genres and influences in conjunction with architecture, dance, documentaries and visual arts. The videos were made by young creators as well as recognized artists, all engaged in art.